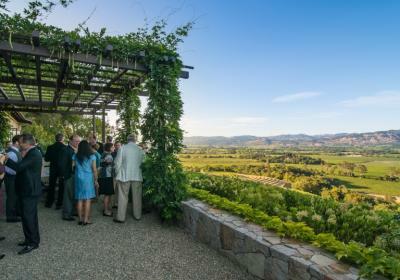 The Napa Valley’s wineries and restaurants, scenery, weather, and distinctive venues make the destination an unparalleled experience for corporate gatherings and events. 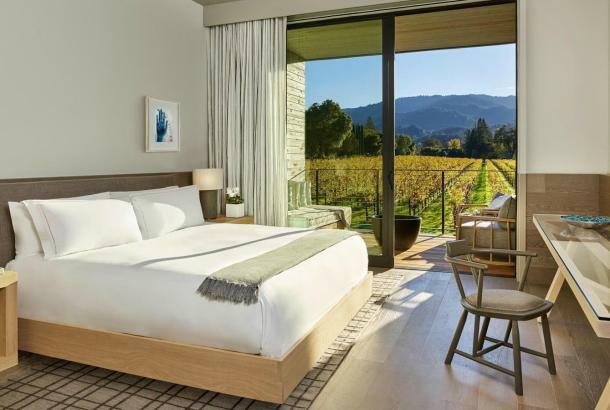 From the city of American Canyon in the south end of the county to the northernmost community of Calistoga, the Napa Valley boasts more than 150 lodging properties from five-star luxury resorts to intimate bed and breakfasts. The Valley also offers more than 200,000 square feet of meeting space from ballrooms to barrel rooms and wine caves to vineyards. Listed below is a highlight of where “to meet” in the Napa Valley. The Ackerman Heritage House (AHH) in downtown Napa is truly an original space to hold a meeting or conference. The 1888 Queen Anne Victorian has three large rooms to cordon off for smaller breakout sessions by closing the 11-foot original pocket doors; a large formal dining room which seats 14 for a board meeting; a garden courtyard; and a gourmet kitchen for a chef to create lunch or dinner during or after the meeting. The newest member of the The Culinary Institute of America family, the CIA at Copia in Napa, which opened in fall of 2016, offers a variety of meeting space options, most with a culinary angle, including indoor teaching kitchens, a 200-seat theater, outdoor gardens; a restaurant; and an amphitheater on the Napa River. The Napa Valley Distillery offers group and corporate events, including team-building experiences such as group cocktail making classes or competitions, and barrel tastings. The Napa Valley Distillery can accommodate up to 50 people in the tasting salon and up to 100 on the distillery floor. Tre Posti in St. Helena boasts three private indoor and outdoor event spaces, each with stunning vineyard and mountain views where Chef Nash Cognetti offers a fusion of authentic Italian and fresh Napa Valley cuisine. The Napa Valley Wine Train can accommodate up to 300 guests with their historic and beautifully restored early 1900’s Pullman Cars. 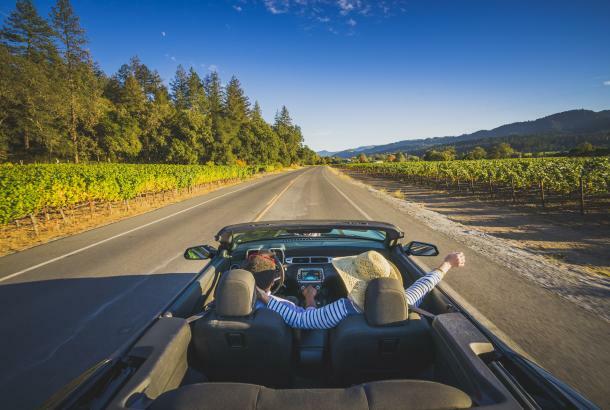 The recently introduced Quattro Vino Tour provides a “car free” culinary and wine adventure, which includes stops at Robert Mondavi, Charles Krug, Merryvale and V. Sattui Wineries. The Vintage Estate&apos;s eleven distinctively different locations in Yountville offer 30,000 square feet of diverse indoor and outdoor function space and on-site culinary services. Their Conference Services department will customize and coordinate agendas ranging from private and exclusive executive retreats to full-scale, multi-tiered conclaves and auxiliary events. Basalt restaurant on the Napa River in downtown Napa offers groups a private dining room and expansive outdoor patio that can accommodate 24 to 80 guests (or up to 200 for a complete buy-out). Basalt features a dedicated private events team to cater to the specific needs of all groups. 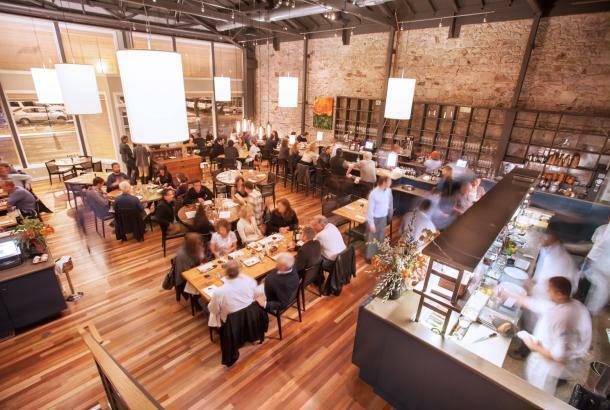 Hurley&apos;s Restaurant in the heart of Yountville offers two spaces for small groups. The Private Dining Room is a brightly lit room with a private patio that can accommodate 25 to 42 guests. For smaller groups, the Vintners’ table can accommodate eight to 14 guests. Verve Napa Valley offers a new teambuilding activity with professional equine facilitators and horses. Through a hands-on learning experience, participants explore topics deeply connected to leadership, including self-awareness, non-verbal communication, embodiment, mood, trust, and intuition. In the serenity of nature, far removed from the hustle and bustle of city and corporate life, participants have a unique opportunity to reflect on their leadership style, reconnect with their true nature within, and transform into powerful, effective leaders. Napa Valley Paddle offers two tours for groups interested in enjoying the Napa River while visiting the Napa Valley. The Living River Tour showcases the river’s transition from saltwater wetland to the clear running fresh waters of the Oak Knoll AVA. The Carneros Wildlife Preserve excursion explores the northern reach of San Pablo Bay through six miles of twists and turns, including Skaggs Island, a former top-secret naval installation once home to 300 personnel who were instrumental during the Cold War and Cuban Missile Crisis. Antennae are still buried beneath the marsh, used for interception of Russian Radio communications. Napa Valley Bike Tours offers customized events for groups including tours that culminate in a casual dinner in the vineyards with fresh pizza and salads featuring locally sourced produce provided by chef Michael Gyetvan of Presto Azzurro, or a catered luncheon at Stag’s Leap Wine Cellars for groups up to 90. For memories that last a lifetime, Napa Valley Balloons and Calistoga Balloons offer an exhilarating, four hour experience for small groups, including: preflight coffee, tea, and sweet treats; transportation to and from the launch and landing sites; a one hour flight (flight time is approximate depending on weather); and a post-flight brunch with sparkling wine at either Domain Chandon Winery in Yountville, or SolBar Restaurant located at the Solage Resort in Calistoga. Knight Wine Tours offers private guided wine country tours for groups up to 10 guests, led by a certified wine educator and local resident professional guide. 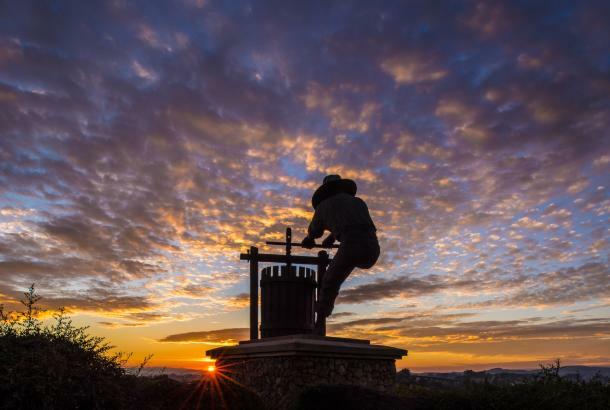 Domaine Carneros in Napa offers a myriad of memorable event spaces for groups of up to 120. Options include the Carriage House, with high ceilings, a stone fireplace, and doors opening onto a private terrace and fountain; the Chateau Salon, which transforms into an elegant grand dining room with tall French doors opening onto the terrace; The Terrace, which offers spectacular views and a breathtaking backdrop for receptions; Le Rêve Room, located on the top floor of the château, featuring a coffered ceiling and marble fireplace, ideal for intimate dining events; and the Mezzanine, an intimate setting for wine-centric dining and entertaining. Jam Cellars in downtown Napa is perfect for small groups between six and 40, and features a rock & roll theme, including a space for live musical performances and a private tasting room that doubles as a recoding studio. Pine Ridge Vineyards offers groups an interactive blending seminar at the historic winery in the heart of the Stags Leap District. Guests will learn about the history of Napa Valley, the Stags Leap District and Pine Ridge Vineyards as they are guided through a hands-on wine blending experience, learning about the art and nuances of wine blending while tasting and blending samples of the winery’s highly rated Fortis Cabernet Sauvignon. Afterwards, each table will present their “best” blend to the education team for evaluation and judging. The winning team will receive a special prize. Silver Trident Winery’s upstairs loft in Yountville is an ideal space for events for up to 22 guests. Private wine tastings, receptions, business retreats or food and wine experiences can be executed by the winery. Both the loft and the Silver Trident Winery Home tasting room is decorated by Ralph Lauren Home and most furnishings are available for purchase. B Cellars Vineyards & Winery in Oakville, features two separate private event spaces, the Beckstoffer Heritage Tasting Room, which can accommodate up to 12 guests, and the Grand Salon, which can host up to 120 guests. The winery also offers wine blending classes; a six-wicket croquet court and adjacent event lawn. Cuisine is a focal point of the B Cellars experience and guests may tour the chef’s garden and outdoor grounds to determine the menu for food and wine pairings. Brasswood Cellars just north of St. Helena, (formerly Cairdean Estate) offers many indoor and outdoor venues for meetings or special events, including Brasswood Bar, Bakery and Kitchen; Rosgal Gallery and The Tasting Room. From picnics, luncheons, or special private lunches or dinners, the team at Brasswood Cellars will help make any occasion special. Merryvale Vineyards’ Historic Cask Room in St. Helena features century-old 2,000-gallon casks lining the stone walls, creating an enchanting settings for special events. The winery’s highly acclaimed wines may also be paired with the cuisine of celebrated Napa Valley chefs. Accommodating groups of up to 112, the Cask Room is ideal for special occasions, including rehearsal dinners, wedding receptions and corporate dinners. Silverado Resort and Spa will complete an addition of 30,000 square feet of new function space in late 2016. Located adjacent to the recently renovated 15,000 square foot conference center, the Mansion Gardens will serve as an additional outdoor venue for weddings, social occasions and receptions for conference groups. The seasonal 5,000 square foot pavilion will feature heating and cooling, sidewalls, blackout curtains, doors, lighting and power to create the perfect environment for all types of events. The Mansion Gardens will add to Silverado Resort’s 17,000 square feet of indoor meeting space and 15,000 square feet of outdoor spaces including the signature wine country Grove, Fairway Deck and Arbor. In addition to meeting space, the resort features 370 guest rooms, two PGA Championship Golf Courses, a 16,000 square foot spa, several restaurants and lounges, 10 tennis courts and 10 swimming pools. With $7 million in recent improvements, the Marriott Napa Valley Hotel and Spa in Napa offers 22,000 square feet of meeting space, including 8,000 square feet outdoors, and a new resort-style swimming pool and courtyard, ideal for festive gatherings, weddings, and a variety of unique teambuilding and breakout experiences. The meeting spaces at The Meritage Resort and Spa in Napa include the Estate Cave built into the hillside under a vineyard, two ballrooms that can accommodate groups up to 800, and the Crush Ultra Lounge, a luxury entertainment sports bar, complete with bowling lanes, which can accommodate groups of all sizes. The Andaz Napa offers more than 9,000 square feet of meeting space with complimentary Wi-Fi and versatile meeting venues, including the Mercantile rooftop terrace, a gathering spot for networking, wine tasting and relaxing by the stone fire pits. The Carneros Inn in Napa offers 10,000 square feet of inspiring indoor and outdoor meeting space with panoramic views and lush courtyards. Groups may select from a number of packages, including the “Vino and Bocce” two-hour experience as an icebreaker or teambuilding activity; the “Day Meeting Package” which includes a meeting room with natural light; Wifi; continental breakfast; a deli lunch and meeting breaks; the “Gather & Garnish” program, which allows guests to forage ingredients from the quarter acre farm with fruit trees to create customized cocktails; or the“Sip & Cycle” package with Getaway Adventures. Groups may also customize their meeting experience with or spa treatments. The Westin Verasa Napa offers more than 12,000 square feet of flexible meeting and event space, including a ballroom; three boardrooms; an outdoor courtyard; two Bocce Ball courts, and The Green, perfect for intimate receptions of up to 80 guests. The Westin Verasa can also arrange off-site experiences for groups, including intimate dinners in wine caves, to large lunches with vineyard views. The hotel also offers numerous activities for groups including yoga and wine programs. Wine courses include an introduction to Napa Valley wine; a sensory wine skills teambuilding experience; and a wine-blending course. 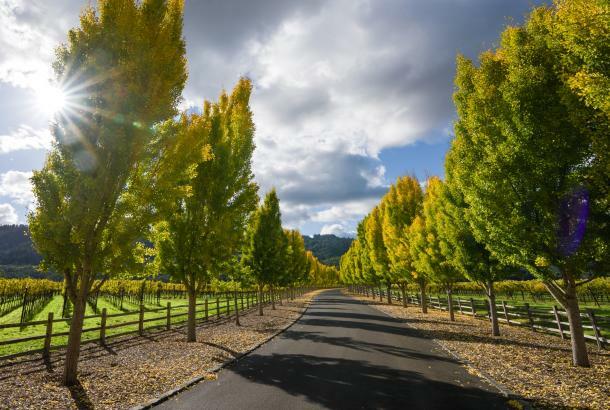 Bardessono, the luxurious LEED platinum certified retreat tucked in the heart of Yountville, offers an exclusive “green” experience that anticipates groups’ needs, providing leading technology and environmental ethics. Featuring 1,655 square feet of indoor space and more than 4,000 square feet of outdoor space, distinctive venues at Bardessono include outdoor terraces, water elements, artistic landscaping and a poolside patio. Meadowood Napa Valley in St. Helena offers guests 5,000 square feet of indoor meeting space and 28,000 square feet of outdoor space. Groups are encouraged to enjoy the resort’s outdoor venues for the many offered activities, which include a hands-on “Mixology Class” led by Meadowood’s Beverage Director of Estate Events, who covers the basic techniques for creating customized cocktails, including when to “shake” vs when to “stir;” how to make hand-cut crystal clear ice cubes; and incorporating fresh herbs and edible flowers. 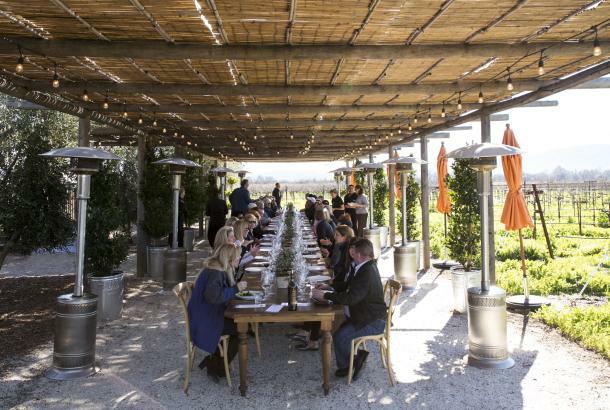 Hands-on cooking classes tie in locally grown produce and wines from the Napa Valley. The resort also features two full-sized, world-class Croquet courts (lawns) as well as a nine-hole walking golf course. Their Golf Studio is equipped with TrackMan technology, which records the club and ball data and displays the information in easy-to-understand graphic models. The Harvest Inn in St. Helena provides a total of 13,550 square feet of meeting and event space for social events and working groups, large or small. All meeting rooms offer wired and wireless Internet access and a variety of configurations. The lovely grounds provide the ideal location for wine country weddings, receptions, reunions, sit-down dinners and parties. The 12-room boutique Wydown Hotel on Main Street in St. Helena, focuses on exquisite design, professional and knowledgeable staff, and creating exceptional guest experiences. The hotel recently completed a major renovation to include a full-service kitchen, new awnings, signage and landscaping. Hotel guests may also now enjoy an expanded, 2,500-square-foot lobby, also referred to as the Tea Room, which is an ideal space for small meetings and board retreats. With more than 15,000 square feet of flexible indoor and outdoor function space, Solage Calistoga offers a variety of settings for executive meetings, incentive programs and corporate retreats, accommodating both intimate groups to several hundred guests. All meeting and event areas have WiFi Internet access as well. Indian Springs Resort & Spa’s 2014 renovation and expansion in Calistoga created expanded meeting spaces and capabilities. New buildings include the Barn and the Garden Retreat Center, which provide up to 3,500 square feet of space for corporate and group functions, all wired with high-speed bandwidth. Guests may also reserve a private dining experience at ‘The Cellar” at Sam’s Social Club and enjoy dinner alongside the stainless steel fermenting tanks.